The TIDEP0050 TI Design implements the EnDat 2.2 Master protocol stack and hardware interface solution based on the HEIDENHAIN EnDat 2.2 standard for position or rotary encoders. The design is composed of the EnDat 2.2 Master protocol stack, half-duplex communications using RS485 transceivers and the line termination implemented on the Sitara AM437x Industrial Development Kit. This design is fully tested to meet the HEIDENHAIN EnDat 2.2 standard. Along with EnDat position feedback, the AM437x IDK is also able to support industrial communications and motor drive as described in the AM437x Single-Chip Motor-Control Design Guide. This TI Design enables developers to use EnDat 2.2 encoder interlaces to implement low foot print, low power single chip solutions in applications such as industrial automation and factory automation. The EnDat 2.2 interface is technical standard for direct drive technology thanks to its high resolution, short cycle times, commutation information, long line length support, and encoder diagnostics. The EnDat 2.2 digital technology, simple connection technology, and simple voltage supply requirements reduces overall system cost. Based on Sitara AM437x Processor which supports Single Chip motor control applications and other embedded control and communications applications. 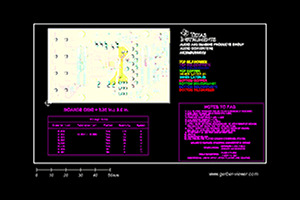 Production Ready development platform sub-system which includes schematics, BOM, user guide, benchmarks, software, demos and more. Free board support package and industrial software development kit from TI. Sitara AM437x supports a number of industrial communications standards including EtherCAT, Profinet, PROFIBUS, Ethernet/IP, Powerlink, and Sercos.